Home / Resources and Answers / Parents And Families / What does “the medical literature” say about treatments? To learn more about Finding Answers in the Medical Literature in Trisomy 18 Foundation Clinical Literature Resource for Parents and Families. These studies from the medical literature are largely examining the natural outcome or the outcome of potential surgical interventions and surgical repairs of specific malformations or birth defects that infants with Trisomy 18 are commonly born with. Many studies evaluate whether interventions improve the quality or duration of the child’s life beyond the first year. While the term “incompatible with life” is not an accurate description for a child diagnosed with Trisomy 18, it remains true that a Trisomy 18 diagnosis is incompatible with a normal adult lifetime even with surgical repairs of selected birth defects for the child. Currently, there are no treatments that can prevent the underlying genetic cause of the birth defects seen with Trisomy 18. 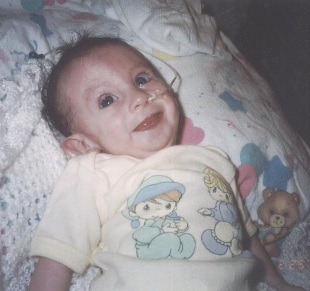 There are no treatments that can reverse or modify the underlying causes of the many life-threatening symptoms of Trisomy 18 in the developing brain, respiratory system, heart, or gastro-intestinal system. Here at the Foundation, our leadership is working diligently to identify and fund promising leads that will address this unmet need to understand and treat the underlying causes that result in such high mortality rates for Trisomy 18 impacted children throughout the life-cycle. These articles are available for public access to download and read at no cost to you through these links. We will continue to update this list with relevant literature to assist you in being informed advocates for your child. Boghossian, Nansi S. et al. “Mortality and Morbidity of VLBW Infants With Trisomy 13 or Trisomy 18.” Pediatrics 133.2 (2014): 226–235. PMC. Web. 15 Aug. 2015. PubMed citation. Cereda, Anna, and John C Carey. “The Trisomy 18 Syndrome.” Orphanet Journal of Rare Diseases 7 (2012): 81. PMC. Web. 15 Aug. 2015. PubMed citation. Wilkinson, Dominic, Lachlan de Crespigny, and Vicki Xafis. “Ethical Language and Decision-Making for Prenatally Diagnosed Lethal Malformations.”Seminars in Fetal & Neonatal Medicine 19.5 (2014): 306–311. PMC. Web. 15 Aug. 2015. PubMed citation.